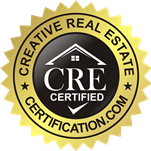 You have probably put a lot of time, money, and effort into making your home look its very best in the light of day; and after the sun sets, your home should look just as fabulous. Outdoor lighting amps up your home’s curb appeal in the evening, extends the social hours of your outdoor living space, and provides safety and security. There are many outdoor lighting techniques to highlight your home’s best features and landscaping. Here are the top outdoor lighting techniques for curb appeal. As the sun sets, show your landscaping in a different light by nightscaping your trees and plants. 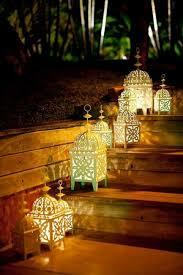 Outdoor lighting adds drama and visual interest to your lawn and makes your property appear expansive. Start by choosing a few focal points to highlight such as a tree, sculpture, or some hard landscaping feature that will look good all year long. For trees and shrubs, lighting can create a moonlight effect when it points up or down through a tree or canopy casting shadows on the ground. To create this effect, hang a wide-angle, low-intensity light fixture high in a tree, trellis, or eave to illuminate a wide area. 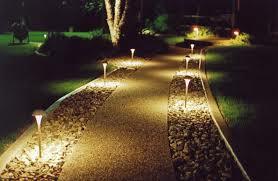 Highlight your flowerbeds and shrubs with low-level path lights that spread circular patterns of light. Consider downlighting the driveway from the trees if you have pavers or stone textures to highlight. Make your property appear larger at night by lighting trees at the far end of your yard. Ideally, you will want to light an odd-numbered group of trees for visual interest and avoid lighting every tree in your line of sight. 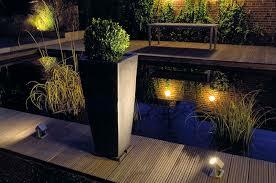 Do not forget to light a few plants to complete your yard’s nightscaping. Use path lighting along a sidewalk, pathway, or steps leading to your front door, a subtle source of illumination that can make a stylish statement or blend in with the yard. Post lights also enhance your front yard lighting by casting a soft, atmospheric glow. In the evening, lighting becomes your home’s first impression, extending a warm welcome to your guests with a well-lit front entry. Consider wall lanterns on each side of the door and a hanging pendant or ceiling fixture above the front door if you have an overhang. Maxim Lighting has a huge variety of pendant styles and ceiling fixtures with coordinating wall lanterns that will help pull together the look of your exterior lighting. 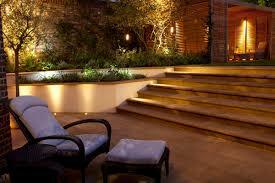 Outdoor lighting emphasizes textures, sculpts, and highlights architectural features and creates focal points. There are four simple techniques to showcase your home’s architectural features at night: uplighting, downlighting, cross lighting, and silhouette lighting. Uplighting shines light up on the focal point from below and downlighting shines light down on the object from above. Both lighting effects add dimension and drama with a wash of light. If your home has dormers, uplighting can enhance the height of these features. To avoid light pollution when uplighting, aim the fixture so that light is captured by the eaves or overhang if possible. Downlights mounted from above can visually graze a feature wall or cast pools of light below on surfaces such as water. Turn your water fountain or pool into a glowing focal point at night with Maxim Lighting’s LED tape. The color of the pool liner and tile will determine how much light is required to prevent the pool from looking like a murky pond at night. Lighter colors reflect light while darker colors absorb light. For safety and security, make sure all entry points of the home are well lit. Outside the garage, mount a wall lantern on each side of the garage door or install a single fixture above. For added security, illuminate any side of the house in the shadows with spotlights installed on your eaves or use wall lanterns at side doors, windows, and garages. Outdoor entertainment areas require a mix of ambient, task, and accent lighting to keep the party going at night. 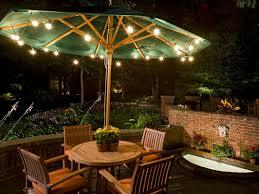 For the outdoor cooking area, install task lighting on both sides of the grill. Provide soft lighting around seating and conversation areas with wall sconces, pendants, or ceiling mounted fixtures. To extend the sense of space, consider lighting a tree or a focal point in the backyard to immediately draw your eye outward. Outdoor lighting is so expensive. These are all great ideas, but most of us can’t afford to light every angle of our home. Seems a little excessive.. Outdoor lighting is not that expensive. Initially, maybe. 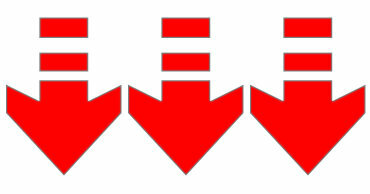 The bulbs last forever (if you get LED), and they don’t cost much to maintain. I don’t know…I’m probably biased, as I have outdoor lighting all over. It just makes me feel safer (I live alone). Everyone has a preference, I guess.